It may still feel like the start of a new calendar year, but the financial year is already half-over and before you know it, tax time will roll around again. 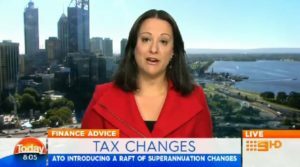 This financial year, the ATO has introduced a raft of superannuation changes. It may still feel like the start of a new calendar year, but the financial year is already half-over and before you know it, tax time will roll around again.This financial year, the ATO has introduced a raft of superannuation changes.